The Waterloo Creek Watershed Project will be ending at the end of December, 2015. Water sampling for the Waterloo Creek project started in 2010 and continued for 3 seasons. The data was used in an application for a practice implementation grant from the Iowa Watershed Improvement Review Board (WIRB). 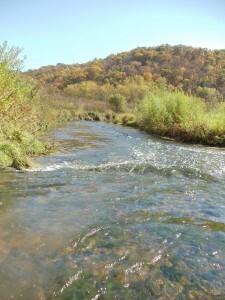 The WIRB grant was funded starting in October 2012 and will end in December 2015 for the Iowa portion of the watershed. This grant initially funded terraces and grade stabilization structures (ponds) as well as salary for the project coordinator. A grant was approved from the National Fish and Wildlife Foundation to fund salary for the project coordinator starting in November of 2013 through December 2015. 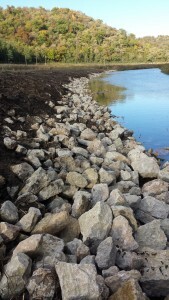 The WIRB funds were then able to be shifted to provide cost-share for stream bank stabilization and pasture management practices. The Minnesota portion of the watershed has been utilizing EQIP funds to provide financial incentive for additional conservation practices. Throughout the project there has been a focus on reaching out to landowners and producers through phone calls and face-to-face interactions to discuss areas of conservation concern and appropriate conservation practices, or best management practices (BMPs), to address those issues. In combination with federal EQIP dollars, up to 75% cost-share was available for the BMP installation. The conservation planning process resulted in cost-share estimates for over 25,000 feet of terrace, 11 grade stabilization structures or sediment basins, almost 4,000 feet of stream bank stabilization, and 4 pasture management projects. 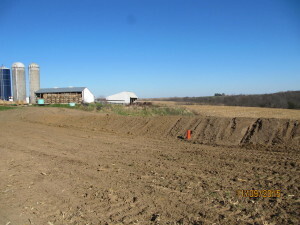 Due to many issues such as changes in ownership and insufficient soil depth, only of fraction of these practices were completed on the Iowa side. 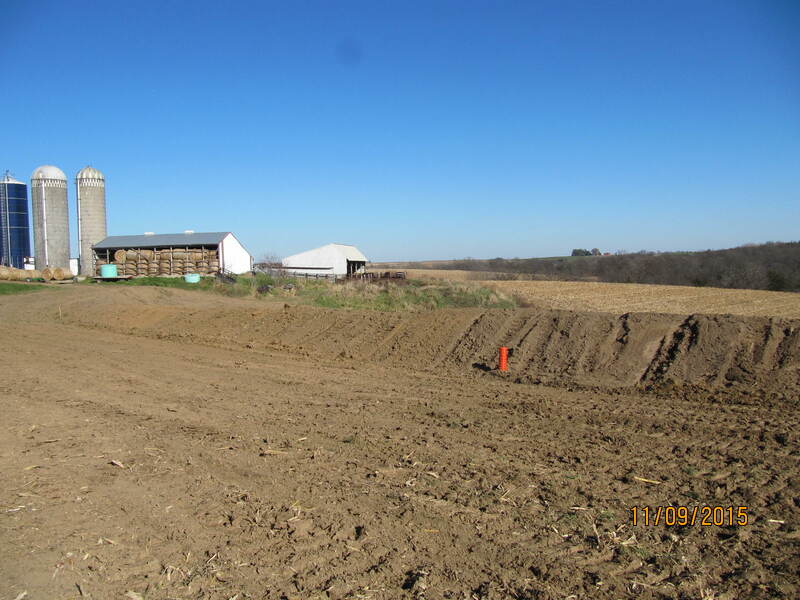 At least 3,450’ of terrace, 3 ponds, 2,400 feet of stream bank stabilization, and 2 pasture management projects were completed with project funds. Additionally, 1.9 acres of waterways and 58 acres of contour farming were completed. 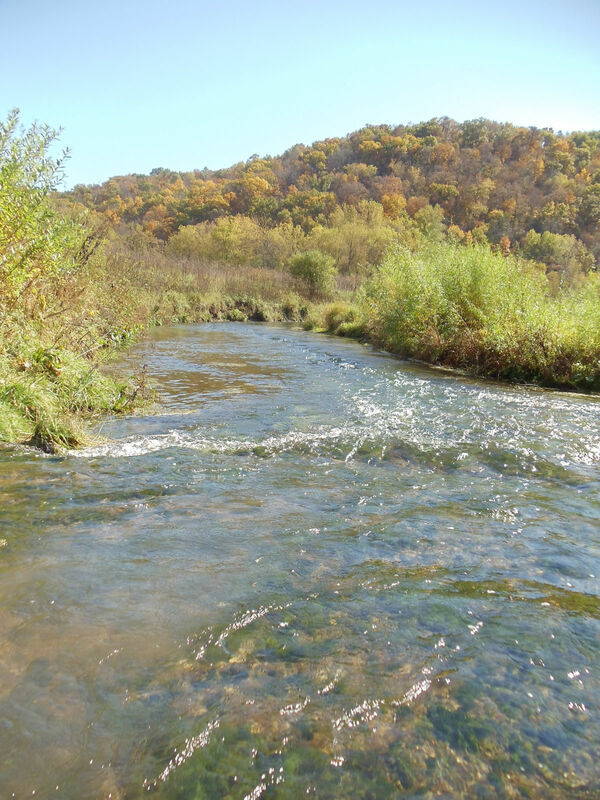 NRCS in Iowa and Minnesota saw the importance of this watershed and of having a coordinated effort to encourage practice implementation in both halves of the watershed. NRCS hired a temporary technician to work with the Waterloo Creek Project Coordinator and NRCS staff in both states to help do outreach and design practices with a focus on Minnesota. This effort resulted in the completion of at least 4 ponds, over 3,000 feet of terraces, and 13.5 acres of grassed waterways in the Minnesota (Bee/Duck Creek) portion of the Waterloo Creek Watershed. Continued efforts can be made to protect this high quality stream. If you are a landowner or producer who would like to do work in the Waterloo Creek Watershed, but did not sign-up for cost-share during the project, there are still funding options available. Financial incentive from the federal EQIP program can be used on many different practices. The State of Iowa also has cost-share options for terraces, grade stabilization structures, waterways, and cover crops. Please call (563-568-2246 ext. 3) or stop by the office at 635 9th St NW in Waukon to receive more information. Cover Crops: What to plant? Copyright Allamakee SWCD. All Rights Reserved.